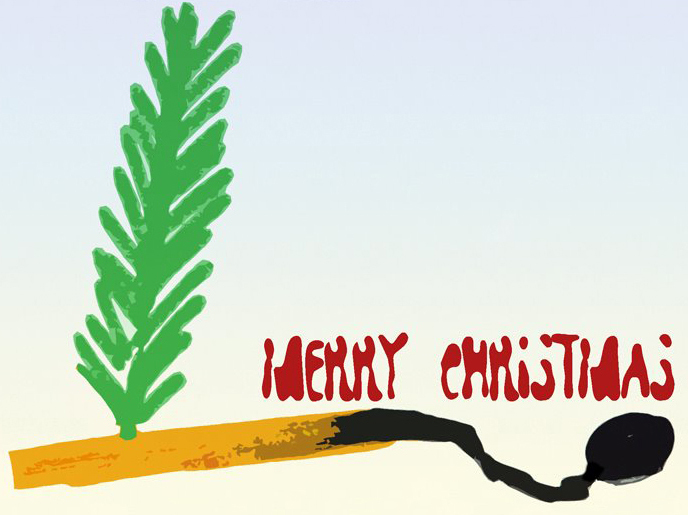 the artwork below was created by some of my favorite artists. 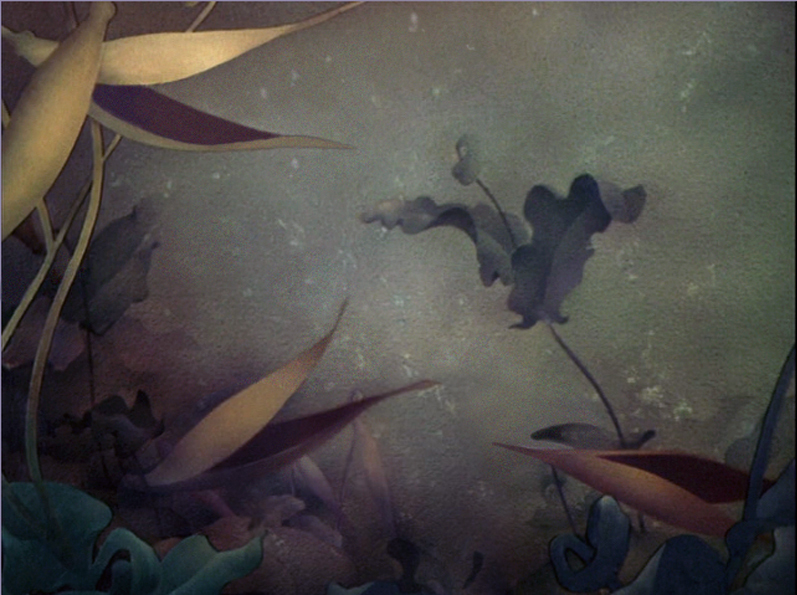 PER AHLIN is a swedish artist and animation director. 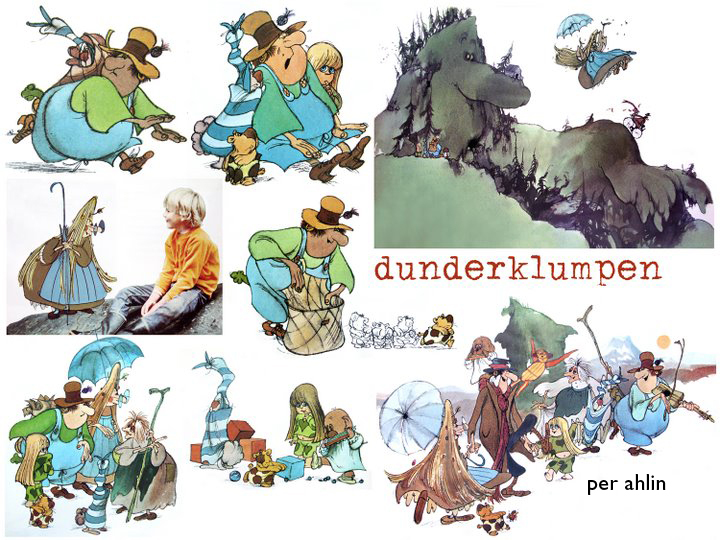 one of his films, a mixed live action/animation film, is DUNDERKLUMPEN, sweden 1974. 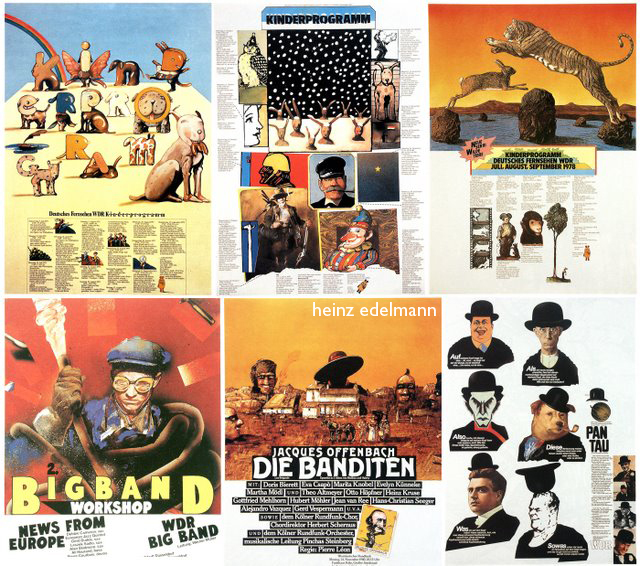 HEINZ EDELMANN, a german illustrator and designer, is probably best known for his production design for THE YELLOW SUBMARINE, great britain 1968. 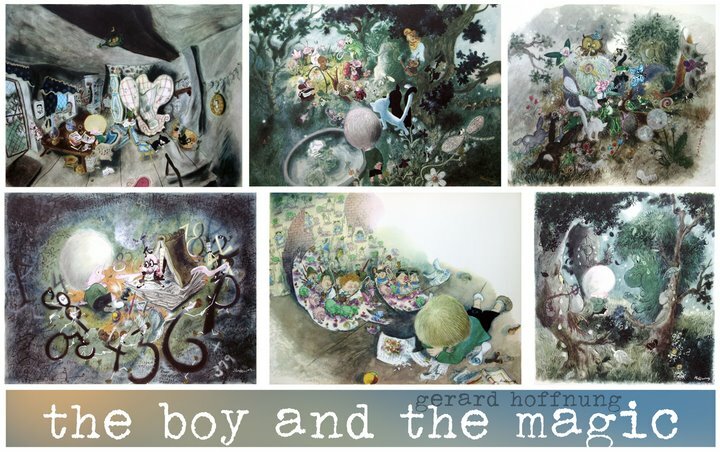 THE BOY AND THE MAGIC is a children book illustrated by the english artist GERARD HOFFNUNG, 1925 – 1959. he became famous with his HOFFNUNG’S SYMPHONY ORCHESTRA, later animated by HALAS & BATCHELOR. 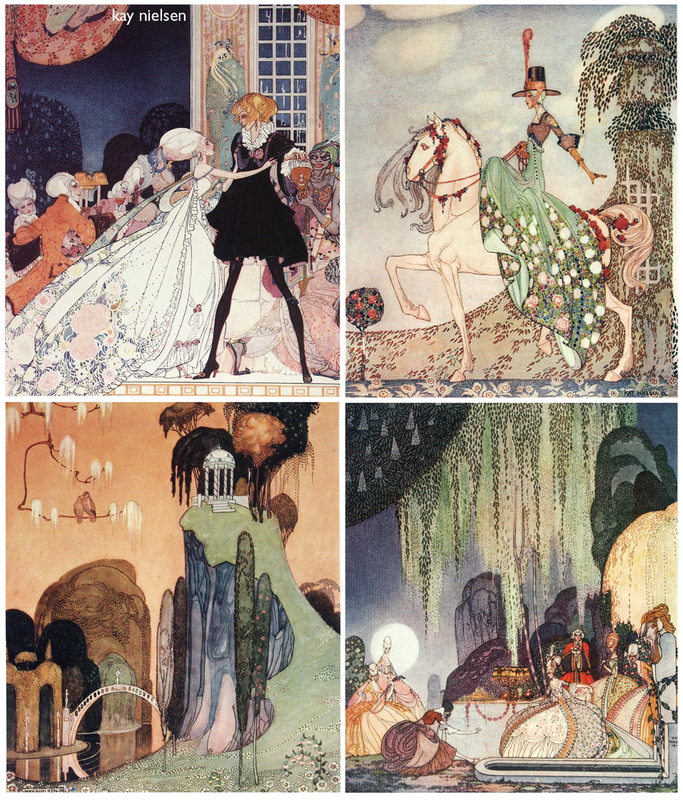 another scandinavian master-illustrator was KAY NIELSEN, denmark 1886 – 1957. he only worked for about a year at disney until 1940. but his work influenced the look of THE NIGHT ON BALD MOUNTAIN in FANTASIA. 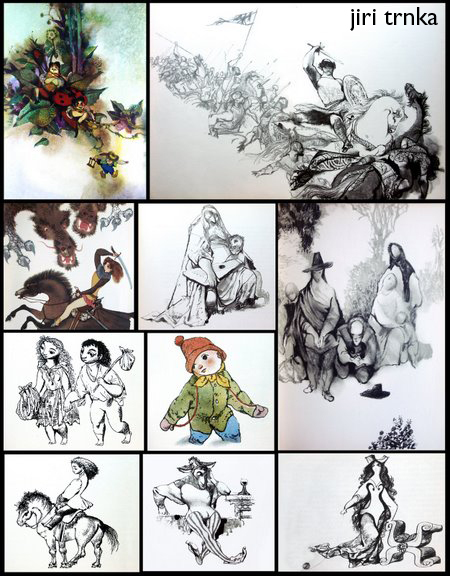 his many children book illustrations are masterpieces, next to EDMUND DULAC, ARTHUR RACKHAM and GUSTAF TENGGREN he is one of the greats in book illustration. 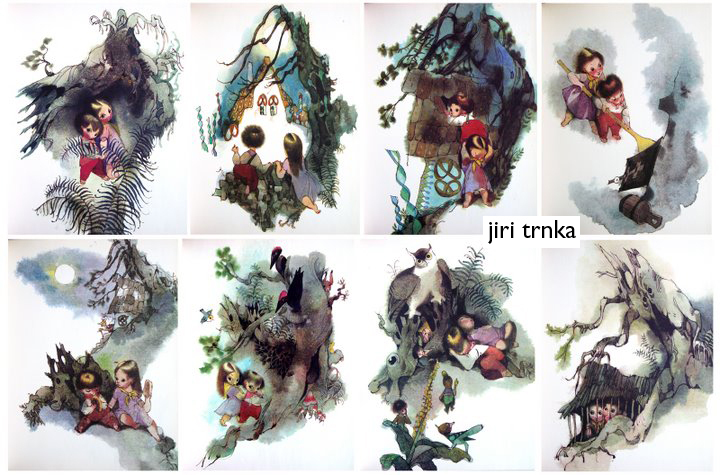 another giant was JIRI TRNKA, 1912 – 1969, the czech illustrator, animator and puppet animation director. 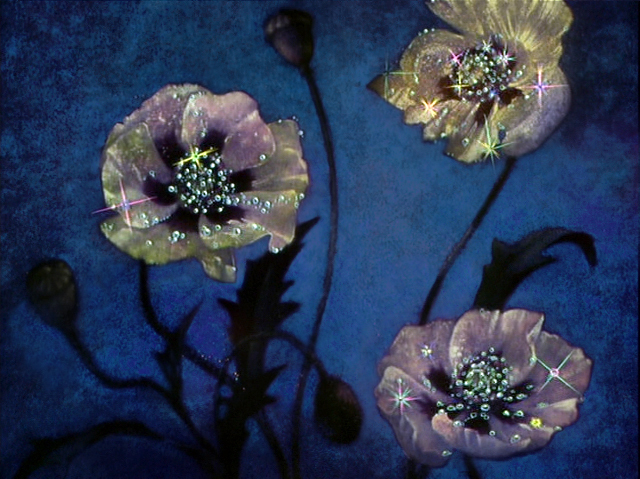 A MIDSUMMERNIGHTS DREAM and PRINCE BAJAJA are some of his most famous films. 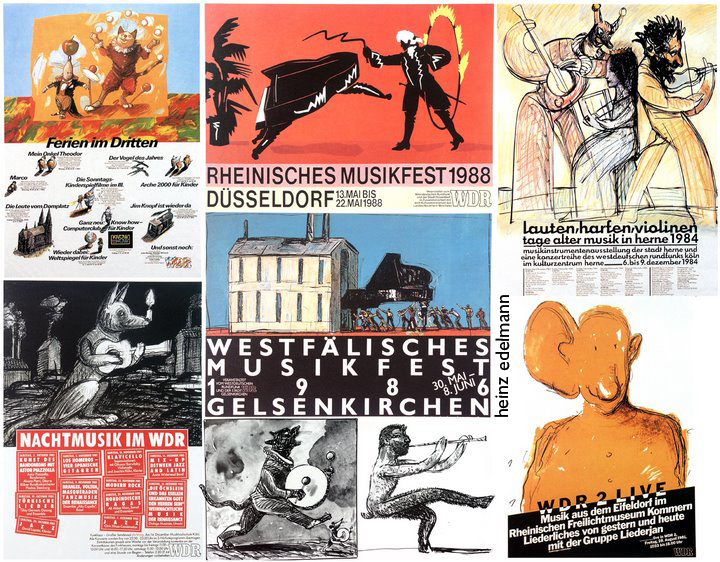 not too much is known about german illustrator DIETER LANGE. he worked for the magazine STERN and the children magazine STERNCHEN since the mid fifties. 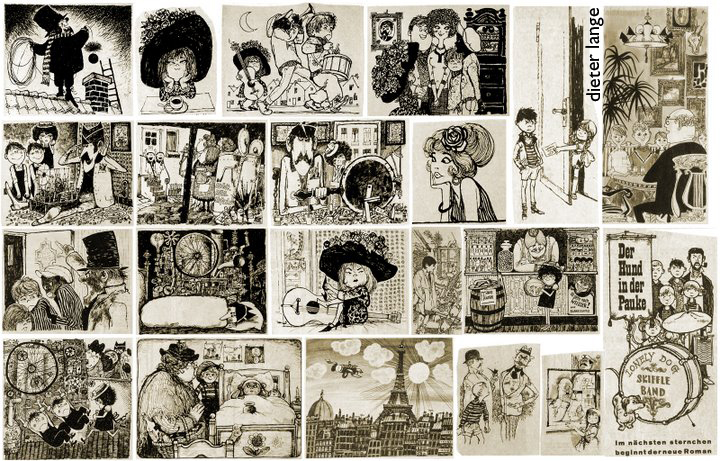 I collected probably all his illustrations and treasure that rare collection. 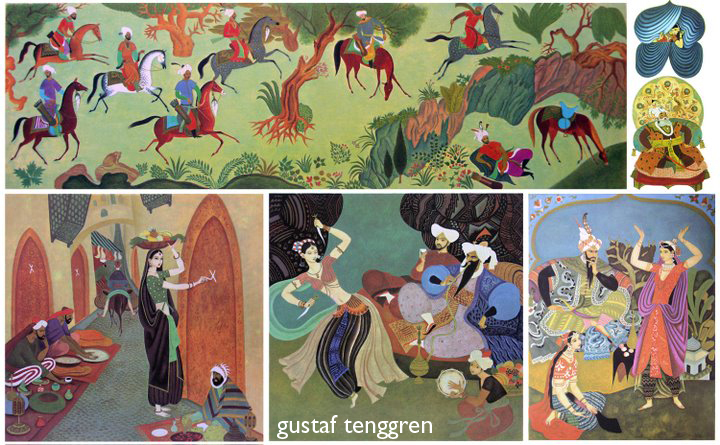 the last artist is swedish GUSTAF TENGGREN, 1896 – 1970. he as well worked for a short time at disney, 1936 – 1940, and styled SNOW WHITE AND THE SEVEN DWARFS, PINOCCHIO and several SILLY SYMPHONIES. 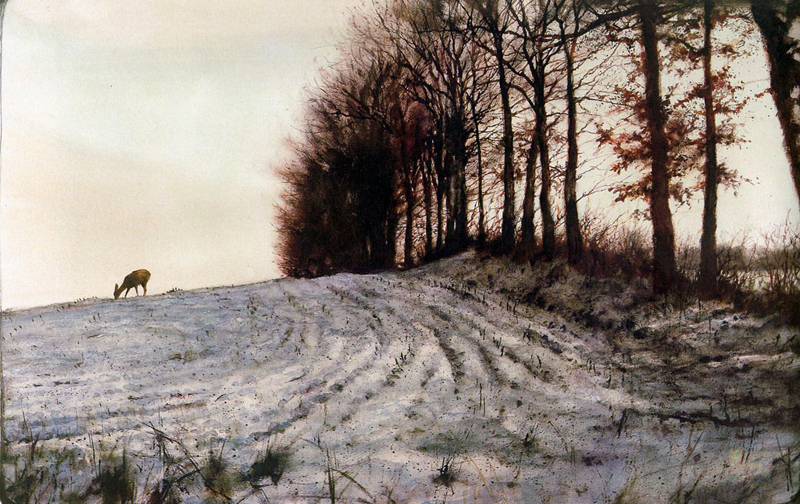 a while ago I recommended MANFRED SCHATZ because of his beautiful nature paintings. 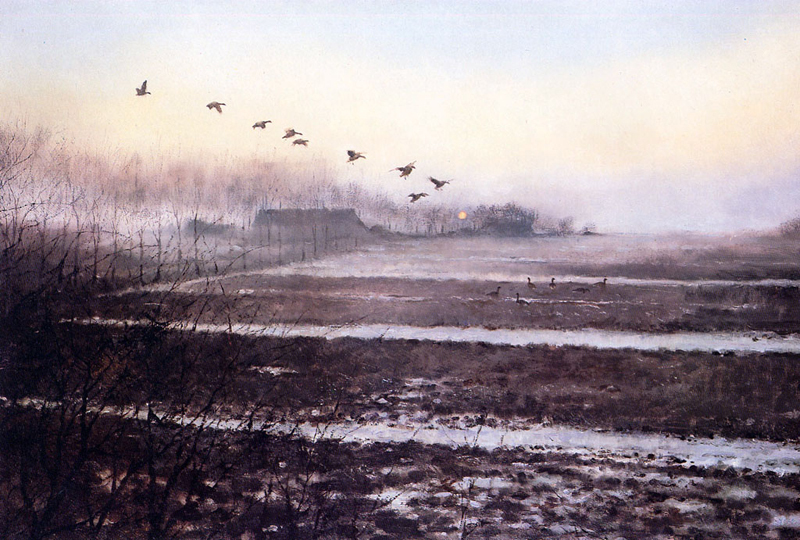 today I want to show you some of the artwork of another master nature painter, dutch artist RIEN POORTVLIET, 1932 – 1995. early he worked in a major advertising agency. but on the side he published several books about nature themes. internationally he is probably best known for his book GNOMES. in case you want to see more, go to this website. 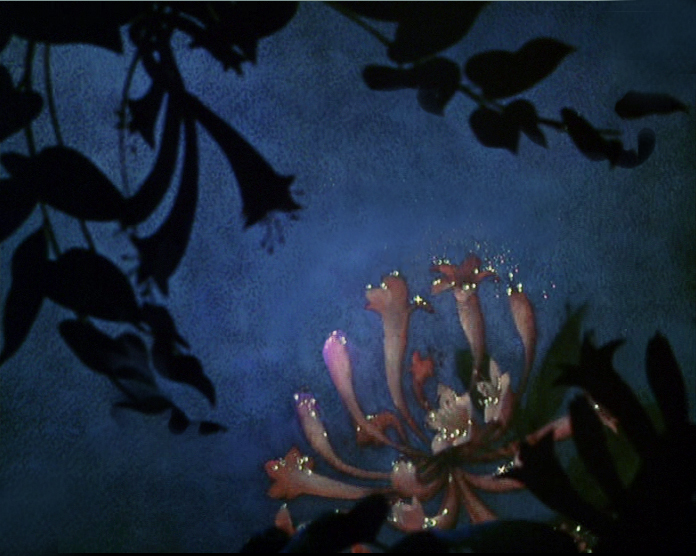 again some more recreated artwork from disney’s FANTASIA, from the NUTCRACKER SUITE segment. 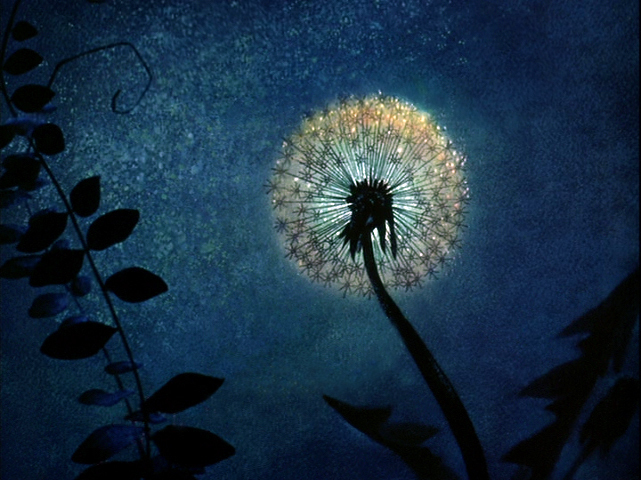 when you watch that part you are overwhelmed with the animation, the colors, the flow of the moving camera, all the animated effects, the music. I always found it difficult myself looking at this masterpiece and trying to analyze it at the same time. it was impossible. the only way it works now is with today’s technology, studying the top quality DVD release singleframewise. and finally, after I was able to recreate the amazing cameramoves and had removed the animation, I could sit stunned in front of the pure background paintings. believe me, my respect is too big to make the animation look less important. 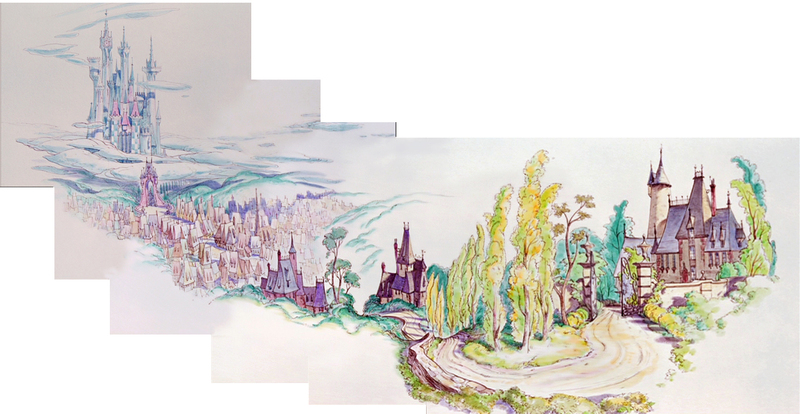 when I worked in the disney studio, I had a chance to flip through a lot of stacks of original animation. all of it is still stored in the ANIMATION RESEARCH LIBRARY. 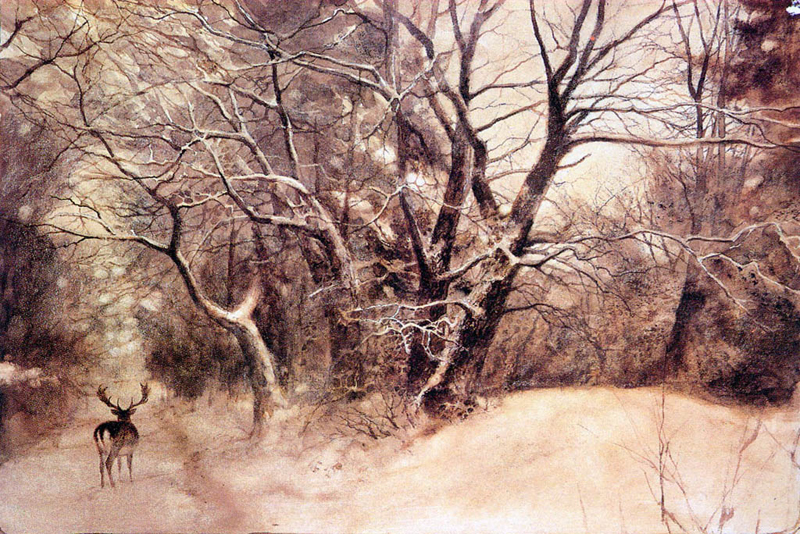 but nearly 90% of all the background-art doesn’t exist anymore, – earlier I explained why. 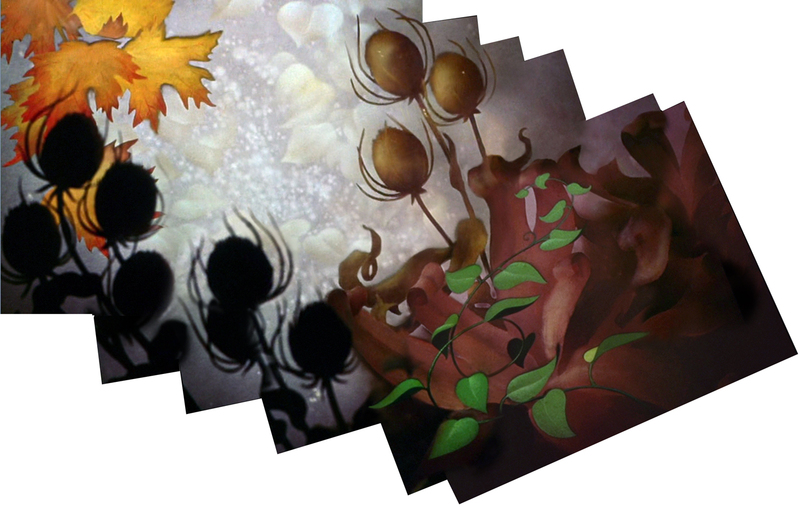 another reason for me to concentrate on that is, I design these worlds myself and love to paint backgrounds. 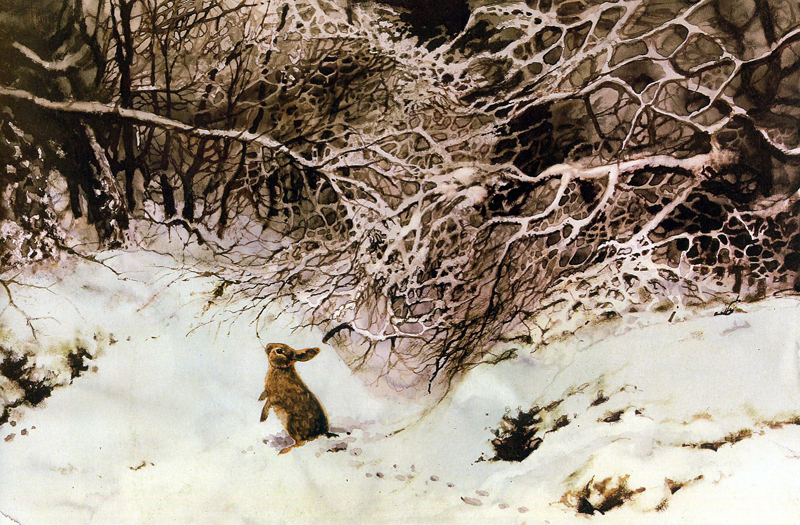 it’s the last weekend before christmas, time for another beautiful piece of ‘lost art’. 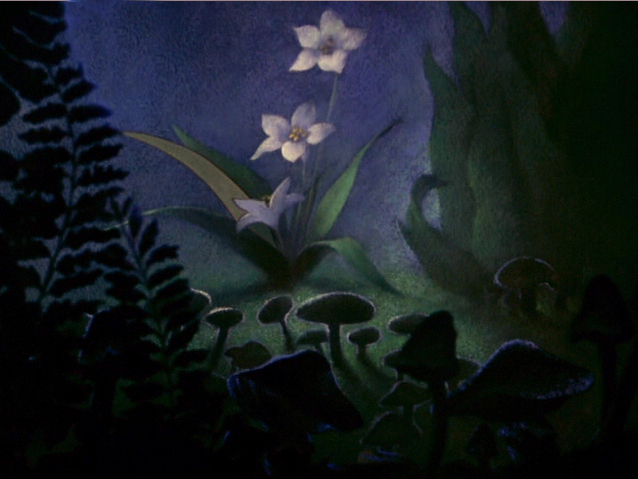 again this recreated N/S-3-level pan comes from disney’s FANTASIA – NUTCRACKER SUITE. 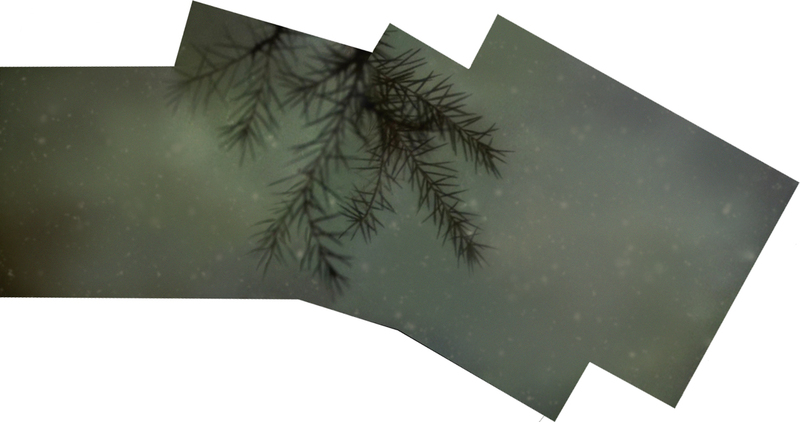 I removed a lot of animated falling leaves. they were covering most of the background, and in the end I was surprised to find this amazing watercolor composition below. 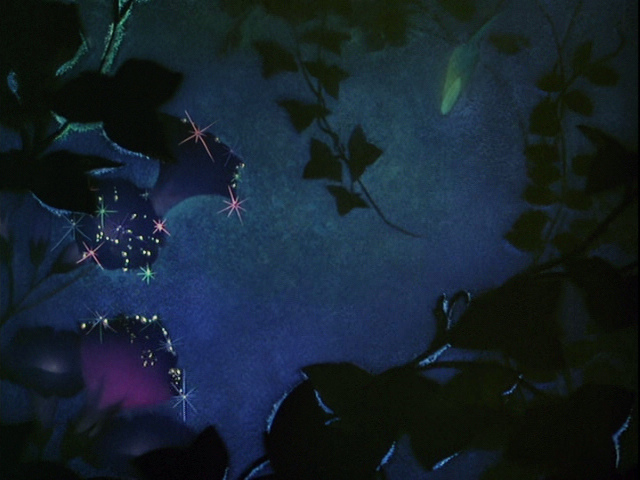 more from disney’s FANTASIA, recreated backgrounds from the NUTCRACKER sequence. 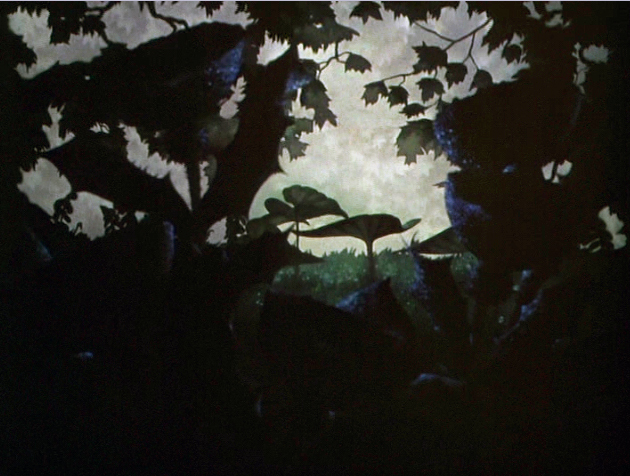 it looks like they used colored charcoal paintings for the opening of that part, you can clearly see the cardboard texture. besides that I had a chance to buy an original sketch years ago in an auction. 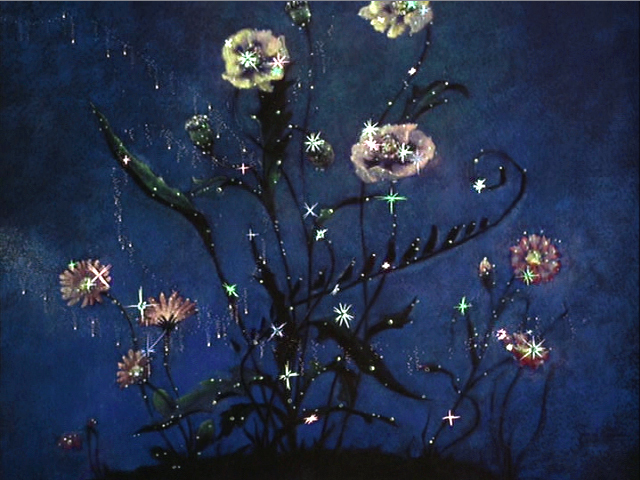 the charcoal artwork was done on black cardboard, then combined with extensive effects animation. 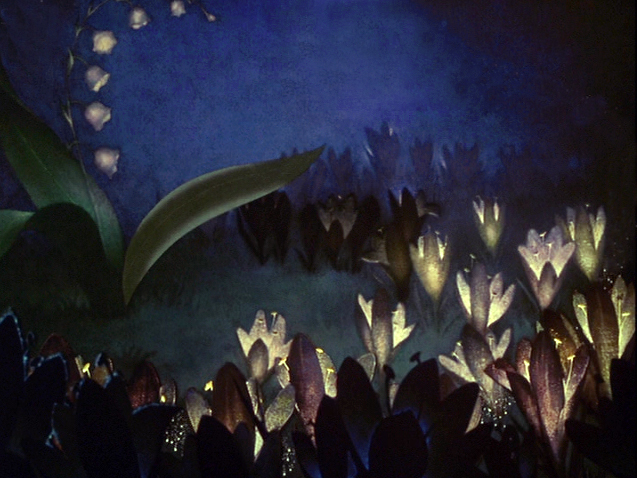 as I mentioned it before – my favorite part in the film.